Learn about Tipalti accounting software for businesses of all sizes. Includes info on Tipalti, free trials, pricing, and FAQs. 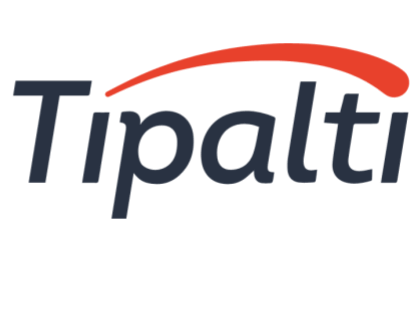 Tiplati is a web-based accounting software that helps users automate their accounts payable process. The software offers users a range of features including payment remittance, tax calculations, supplier management, automated notifications, and payment reconciliation. Tiplati do not disclose pricing on their website. Users can go to tipalti.com and request a quote. Pros: Easy to use software packed with useful accounting features. Integration and setup processes are simple. Good customer support. Cons: UI is a bit outdated. Customization tools need improvement. Bottomline: Great option! Offers an easy to use software that helps streamline payment processes. Good support team. Is there a Tipalti free trial? No, Tipalti does not offer a free trial. However, Tipalti does offer a free product tour on their website. Go to tipalti.com and click 'free product tour' in the top right corner of the homepage. What are some Tipalti alternatives? Are there reviews available for Tipalti? Where can I find the Tipalti login? Go to tipalti.com and click "Login" in the top right corner of the homepage. Tipalti Ranked Among The Fastest Growing Companies in North America on Deloitte’s 2018 Technology Fast 500™. Tipalti Named FrontRunner for Accounting Software. Tipalti Named to 2018 Top Company Cultures List By Entrepreneur And Energage. Tipalti Announces Partnerships with Vindeo, Teampay, and Sovos.